WTG Bingo | A Winning Bingo Site | Win up to 500 Free Spins! Welcome to Way To Go, One of the Best Bingo Sites in the UK! Love bingo, slots and great promotions? Fabulous! You’ve come to the right place. Here at Way To Go, we can’t wait to give you all three. That’s why we’re one of the best bingo sites to hit the web! It’s a competitive old market out here in the world of bingo sites UK. So what makes us any different, I hear you ask? Quite simply, we are committed to giving you an amazing experience from the moment you sign up with us. How do we plan on doing that? Let us tell you a little bit about what we have in store for you. 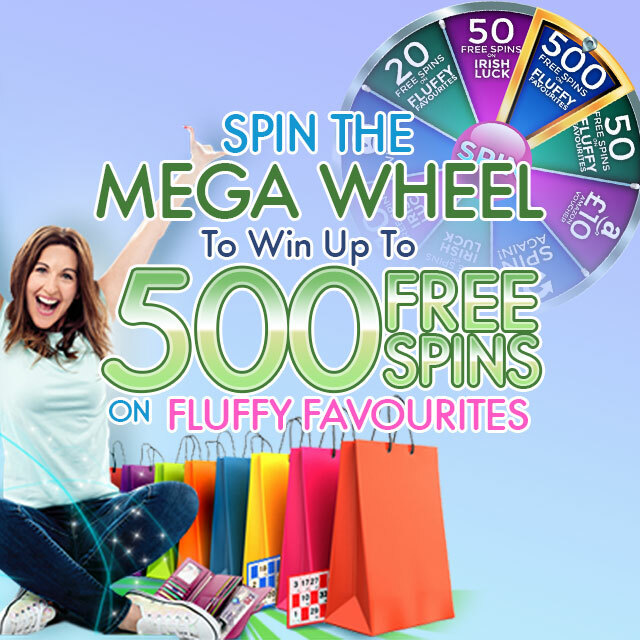 Sign up to Way To Go and you’ll receive a Free Spin of the Mega Wheel as soon as you make your first deposit of £10 – your chance to win 500 Free Spins on Fluffy Favourites! Now that you’re ready to begin spending those fantastic bonus funds, it’s time to hit the games lobby. Here you’ll find a wealth of bingo games running throughout the day. You’re never more than a click away! Try your hand at 75 ball or 90 ball bingo. Or why not check out an instant game? Our Jumpman Gaming software allows us to bring you some of the most sought after online slots. We even have some table games to offer you that authentic casino experience! Note that our promos are not just reserved for new players; our promo page is packed with offers tailored to our loyal members. Check it out and you’ll find some amazing deals.